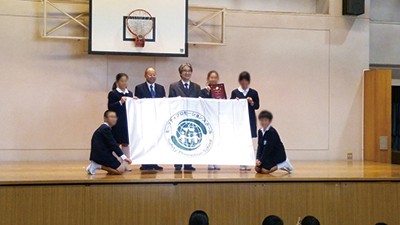 Referring to the conventional ideology of International Safe School (ISS), Osaka Kyoiku University established the certificate system “Safety Promotion School (SPS) based on “self-help, mutual assistance and public assistance” ideology. The purpose of SPS is the comprehensive safety promotion based on our county’s own ideology of school safety that has three fields, life, disaster and traffic as the foundation of school safety. The characteristic of SPS activity is to establish “School Safety Committee” having a “School Safety Coordinator” as a central member at school and manage a “Team School” to cooperate with local professionals. “School Safety Committee”, as a part of “Team School”, supports each school to promote school safety. Specifically, They help to set a mid-term objective and mid-term planning and its implementation as well as the expansion of the PDCAS (Plan, Do, Check, Action, Share) cycle (See Figure). Thus, children, students, teachers, PTA members and local residents cooperate with each other to promote school safety. 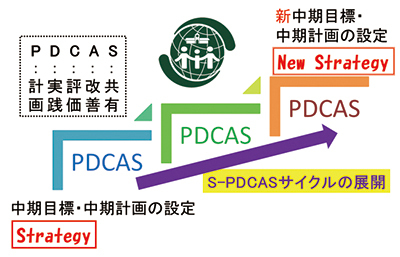 In October 2014, Osaka Kyoiku University formed “Japan Council of Safety Promotion Schools” inside the National Mental Support Center for School Crisis in order to develop the activity to certify schools as “Safety Promotion School (SPS)”. To be certified, schools have to undertake continuous efforts in implementing and cooperating the school safety (life safety, disaster safety, traffic safety) based on the SPS ideology, “7 indexes”, as well as sharing the evaluation based on the analyzed objective evidence.